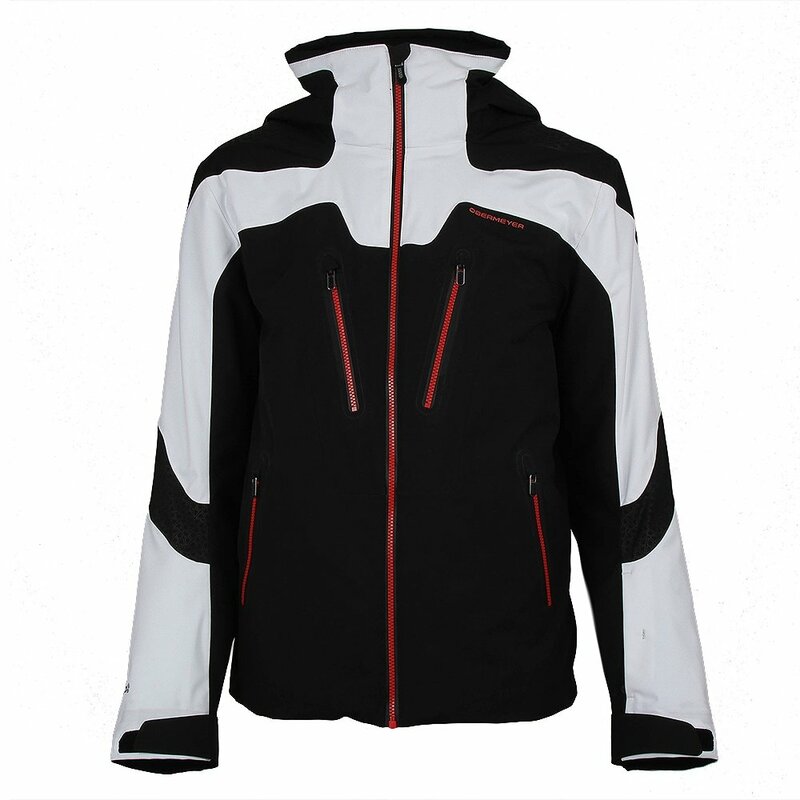 Advanced, high-tech weatherproofing in a stylish, multicolor design, Obermeyer's Spartan Ski Jacket is anything but basic. It offers an unparalleled 30K/30K waterproof-breathability rating thanks to the HydroBlock® Elite stretch fabric. Mapped PrimaLoft® Black insulation adds integrated warmth, while Control Zone Ventilation gives you control over temperature regulation. Movement is enhanced with the stretch lining and articulated sleeves. Other key features include a RECCO® reflector, removable powder skirt and stowable neck gaiter. "Does the obermeyer spartan jacket have a lift ticket holder like a clip or eyelet to attach day lift tickets "
"This jacket has a ski pass pocket on the sleeve." "Hi, I am 5'10 ft tall,157 in weight, and in my waist I am 30 inches. What size of coat would be better medium or small?" "Based on the information you provided, you may want to size up to a Medium. " "Hello--I am 6' 3" and 210 lbs--waist of 34--is the Large the best size for me most likely? Thank you"
"Based on the information you have provided it looks like a Large would be a great fit. We would recommend also taking the sleeve length measurement as well and comparing with our size chart. Hope this information helps. " very warm, dry and light weight jacket. great jacket for the price, kept me warm and dry. only thing i would like to have would be bigger zipper tabs, not so easy to work zipper with gloves on.